A flexible management allowing you to enjoy your villa. A flexible management handled by Oasis parcs, a rental organization of luxurious holiday homes and other premium accommodations. Investing in a world-known attractive and touristic region. Buying a villa in La Pinède residence allows you to profit from the assets of the Non-Professional Furnished Letting status and to be either subjected to the « actual » tax system or to the « micro-bic » tax system, as set out in Article 50-0 A of the General Tax Code. * Subject to the respect of the current tax provisions . Investing in real estate is a powerful act. Profit from our investment solutions customized to your needs. Our advisers remain at your disposal for any advice. Created in 2003, Oasis parcs is a rental organization of luxurious holiday homes and other premium accommodations (in Les Sables d’Olonne, Holland and in Curaçao in the Caribbees). 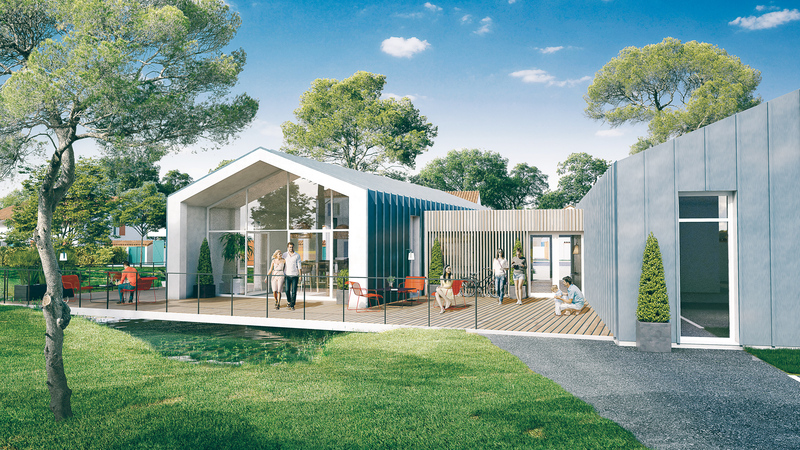 The OASIS PARC concept is unique in Vendée : full equipped villas with private pools for high and customers looking for relaxing holidays at the seaside. Space, privacy, tranquility, security, and services are the perfects words to define the guest experience in an OASIS PARCS resort. In the middle of the residence, the reception building is composed of a catering area with wide bay windows as well as a big terrace allowing a great view on the green landscaped park.